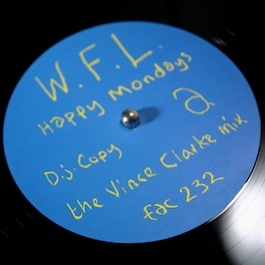 Factory Records: FAC 232 HAPPY MONDAYS W.F.L. * With custom "DJ Copy" labels. *** With 7" style insert. Notes: There is a 27"x40" promotional poster for this release. W.F.L is 'Wrote For Luck', and the tracks are remixes thereof.